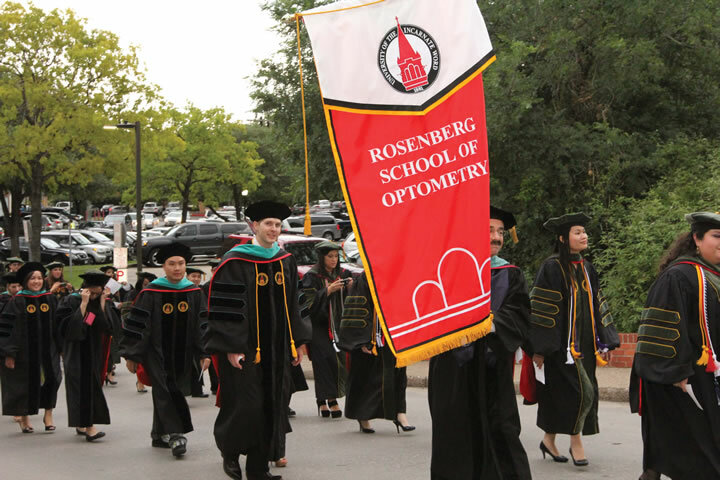 Theirs is a story that much of the UIW community knows by heart. 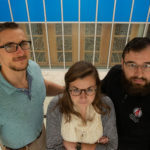 Whether a student, alumnus, staff or faculty member, many can recount the tale of the three young Sisters who arrived in San Antonio in 1869 at the behest of Bishop Claude Dubuis. Their undertaking to care for the sick, poor and orphaned during a cholera epidemic was daunting. Yet, driven by faith, the Sisters were undeterred. Today, nearly 150 years after the Sisters of Charity of the Incarnate Word (CCVI) began their mission, their ministries have helped build the city and shape its approach to healthcare and education, and they are still at work. The CCVI Sisters’ living history is also at the heart of Incarnate Word’s tricentennial celebration. 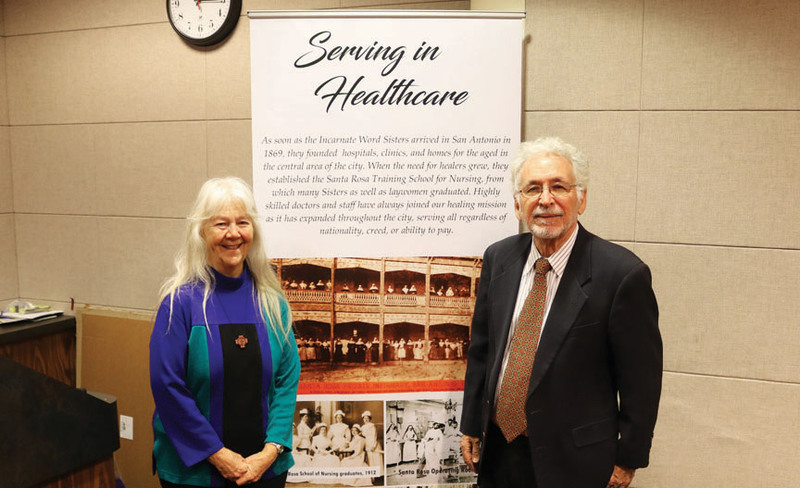 Their contribution to the citywide festivities, known as SA300, brings together the Sisters’ ministries, including the University of the Incarnate Word and CHRISTUS Santa Rosa Health System, and celebrates how those missions moved San Antonio forward for nearly half its history. 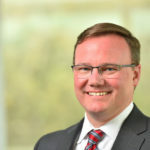 Sr. Kirk is UIW’s representative to the governing Tricentennial Commission’s Higher Education Subcommittee. 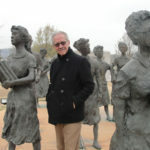 And, along with Dr. Gilberto Hinojosa, professor emeritus and historian, she has helped shape the commemoration of the University’s unique role in the city. 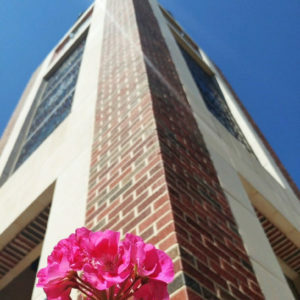 In collaboration with other CCVI ministries and the UIW community, they have built a dynamic program of events highlighting the Incarnate Word mission at work. Via a free event for the entire family, a traveling photography exhibit, a historical tour and more, the events provide a rich historical context, but more than that, they celebrate the spirit in which the mission continues. Sr. Martha Ann Kirk, CCVI, and Dr. Gilberto Hinojosa present one of the photo panels from a traveling exhibit of CCVI history. 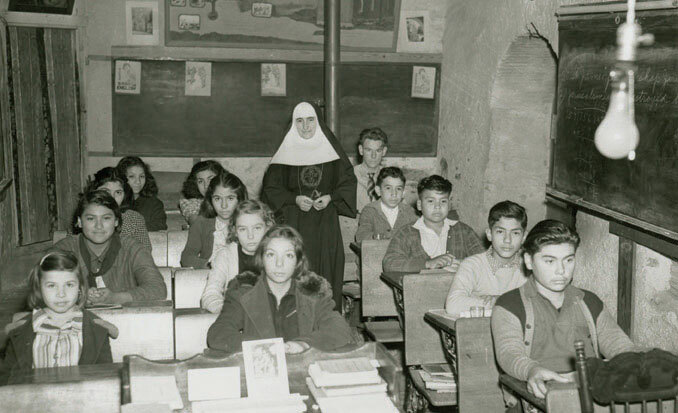 During the Sisters’ earliest years in San Antonio, prayer was central to religious life, but so too, was service. Through work, these young, determined women eagerly met new challenges. “They said, ‘We pray not only on our knees, but we pray with the work we do,” said Hinojosa. 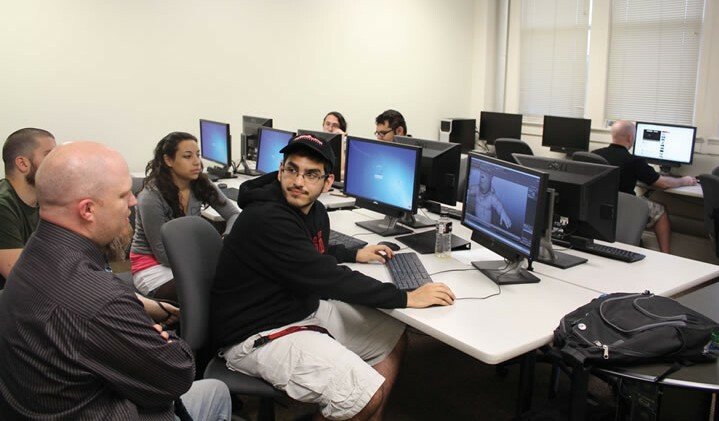 “They faced all kinds of challenges as the city began to grow,” said Hinojosa. The infirmary became a hospital, which then began to address the need of orphaned children. 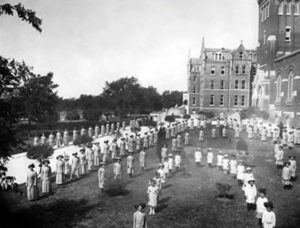 From the orphanage sprang a need for childhood education, which called the Sisters to open a parish school, later a secondary school, and then a college. 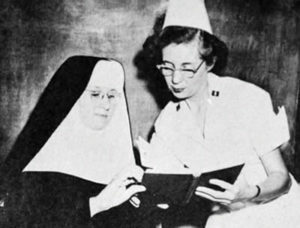 Sr. Charles Marie Frank and a nursing student, 1950s. Historical images courtesy of the CCVI Archives, San Antonio. 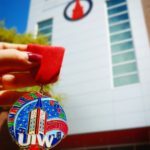 Today’s UIW is an international hub of learning and innovation guided by the Mission, which produces socially engaged students who become leaders. 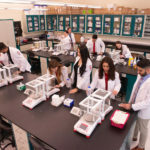 While San Antonians will always need compassionate care, healthcare and education, the city may soon increasingly rely on technological innovation, environmental sustainability and other cutting-edge efforts ensuring care for all of creation in this increasingly global landscape. For more information on the celebration visit sa300ccvi.org.